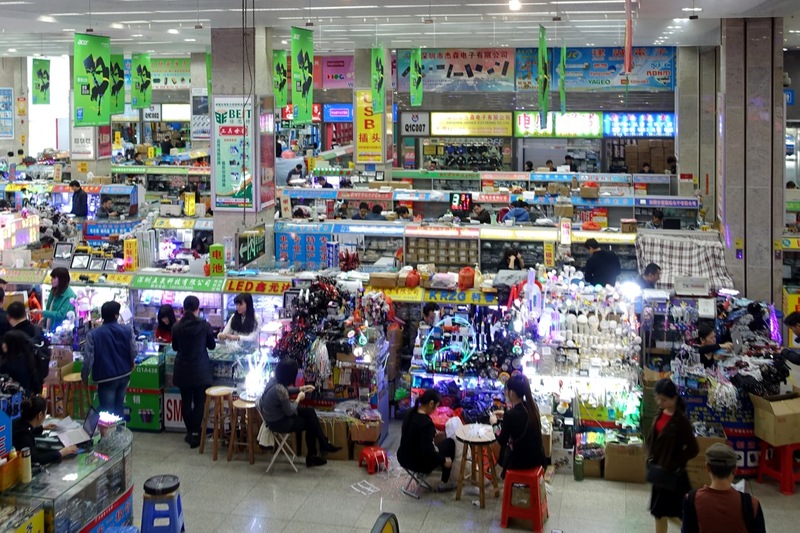 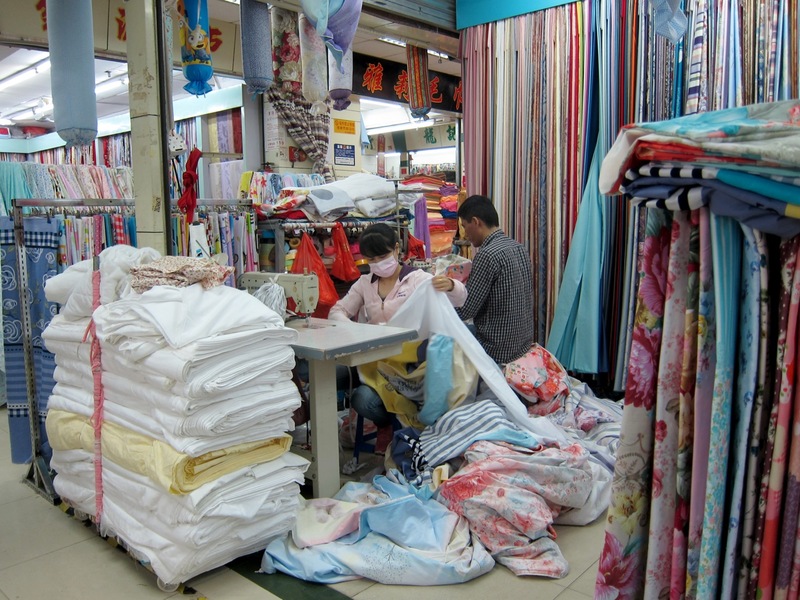 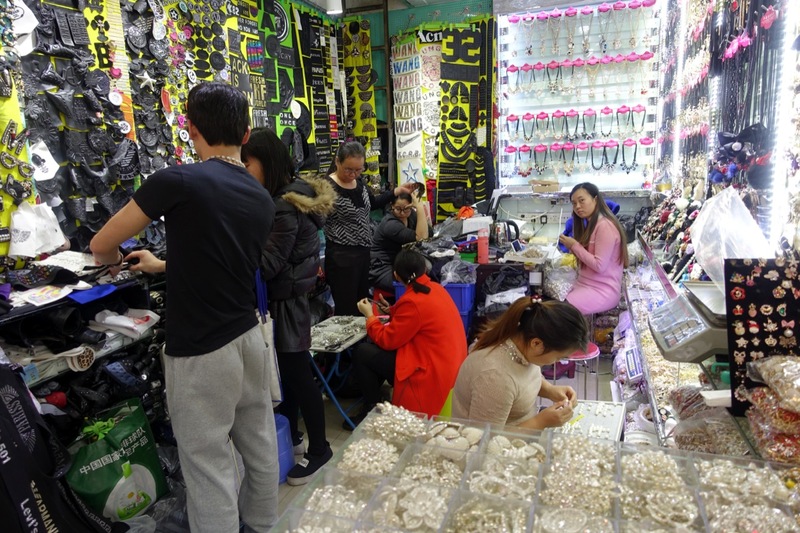 One thing we noticed during our walking through different market areas in Guangzhou and Shenzhen is that the market is not only a place for selling, but also for making. 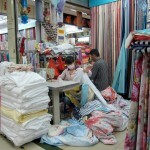 The shop keepers do many things towards the finishing and selling of a product. 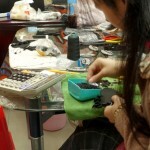 This includes the packaging of the finished product, but well beyond that also the preparation of the good shipped from the factory for display and the actual assembling of goods within the shop. 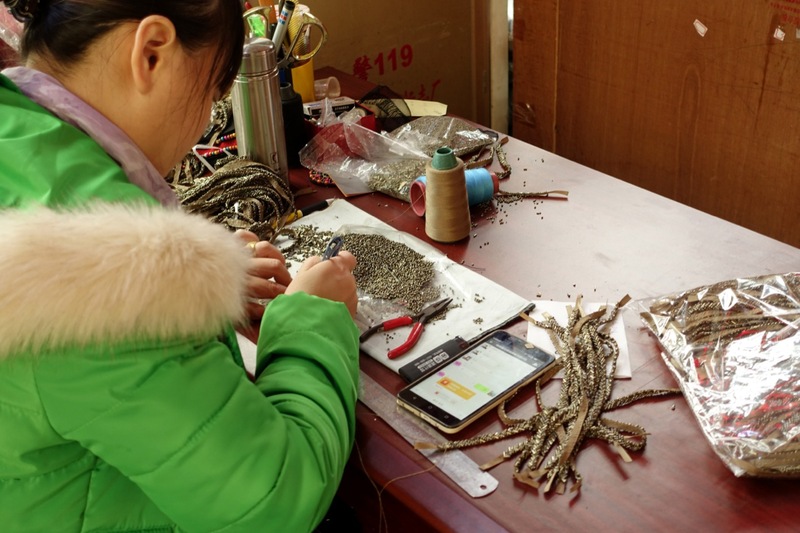 It often seems to be an arrangement of convenience, of having only one person who does it all, guard the shop, consult customers, taking orders, arranging the deliveries from the factory and contribute to the making/finalization of the product on spot. 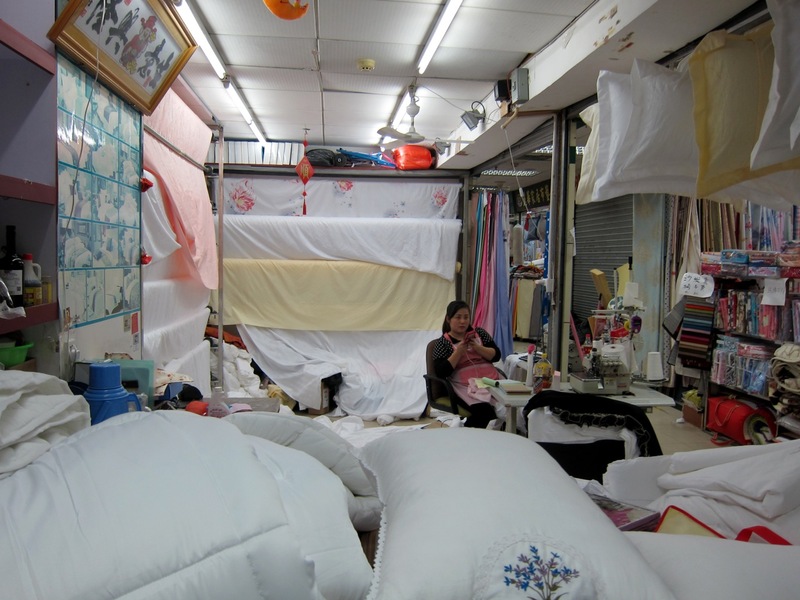 This extension of the shops to making activities happens both on the outside markets and the market halls. 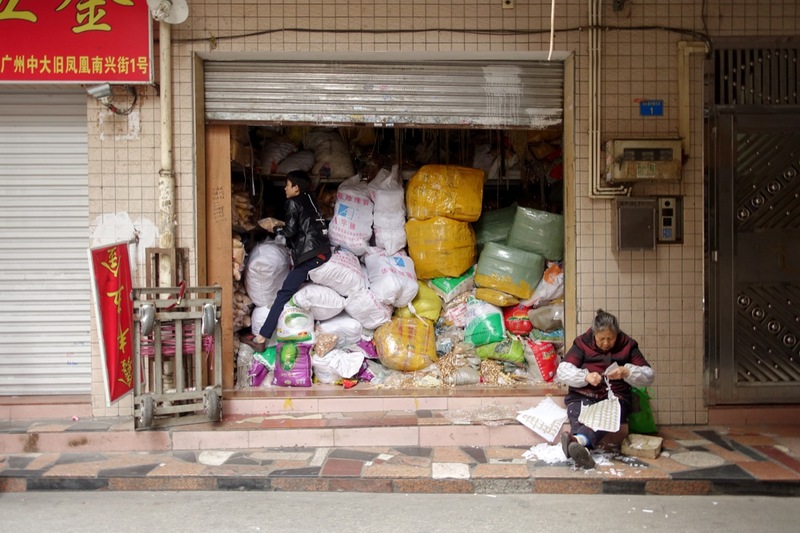 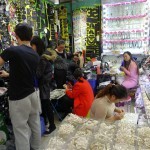 Making on the street market, detailizing the mass-delivery from the factory for further retail. 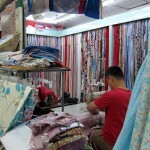 Making of textile accessories. 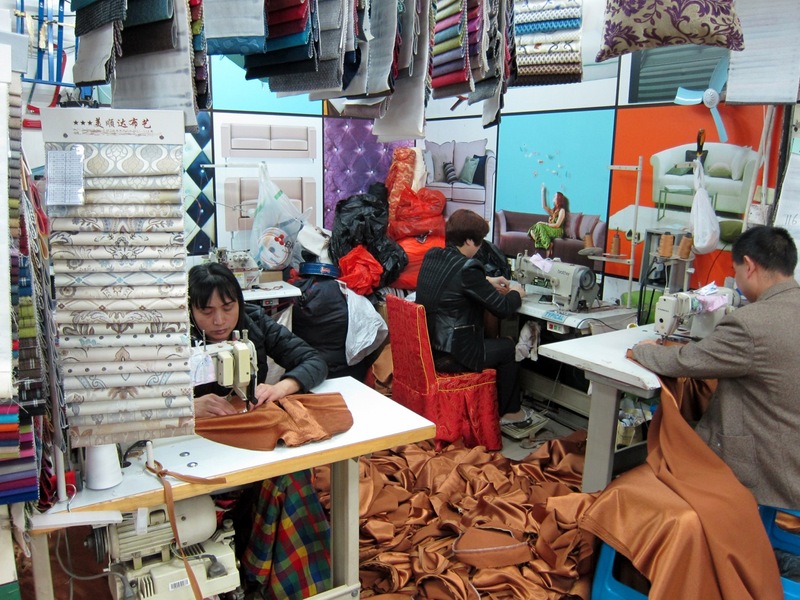 Most stands/ activities look like the continuing of the production that started at the factory. 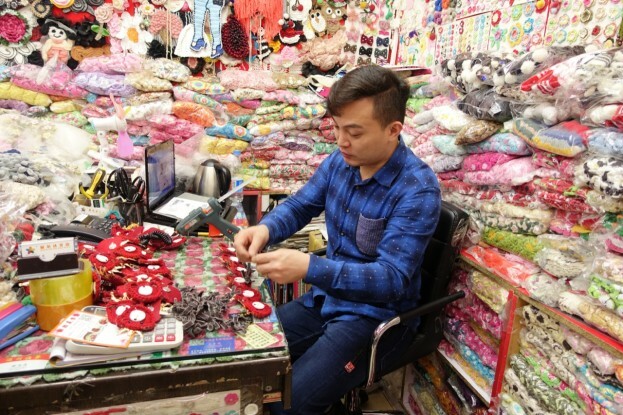 The making of seasonal accessories for Christmas time (top), sticking felt parts onto crochets with a glue gun. 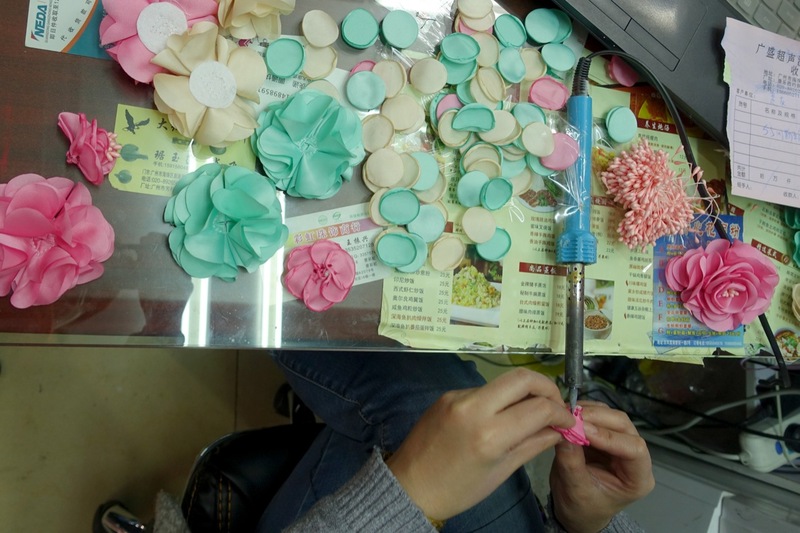 Sticking together fabric pieces with a solder iron to form decorative roses and other examples. Apart from production on the market that clearly extends production that started somewhere else and can be seen as the finalization of products, there are also market areas where the full production takes place on spot. 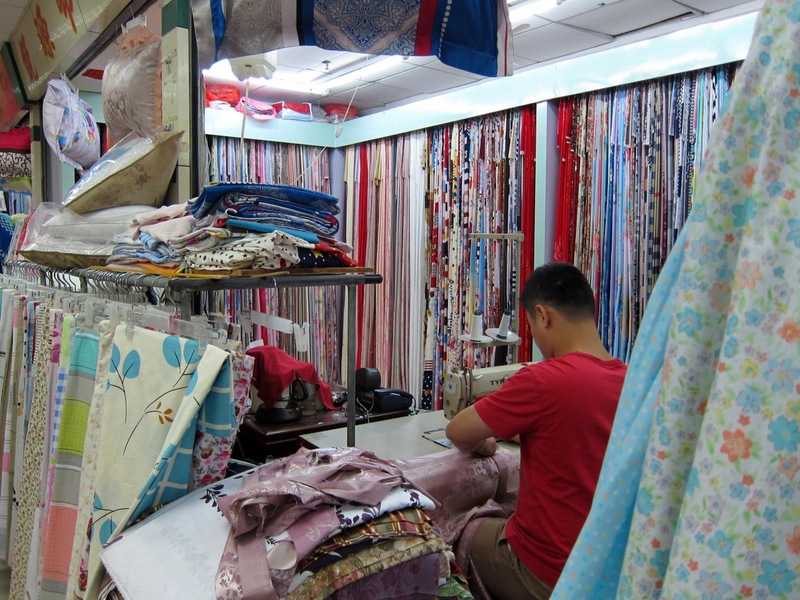 From what we encountered this mostly includes home ware and bed ware. 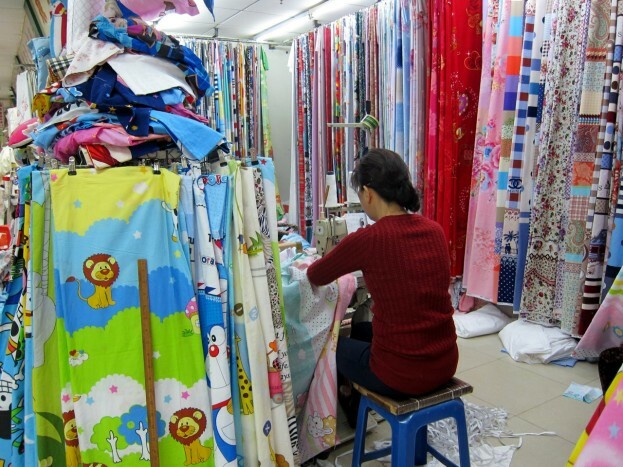 Making on the market is something we did not exclusively observe in the textile domain. 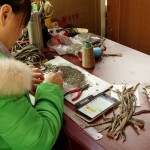 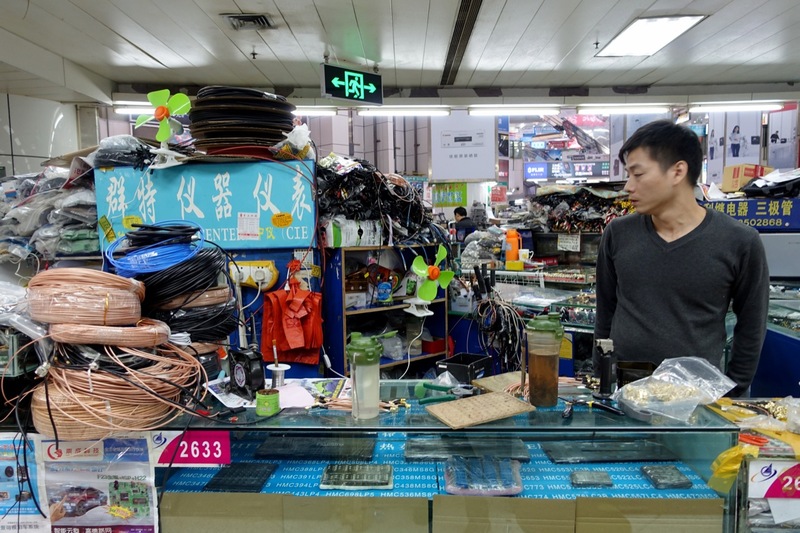 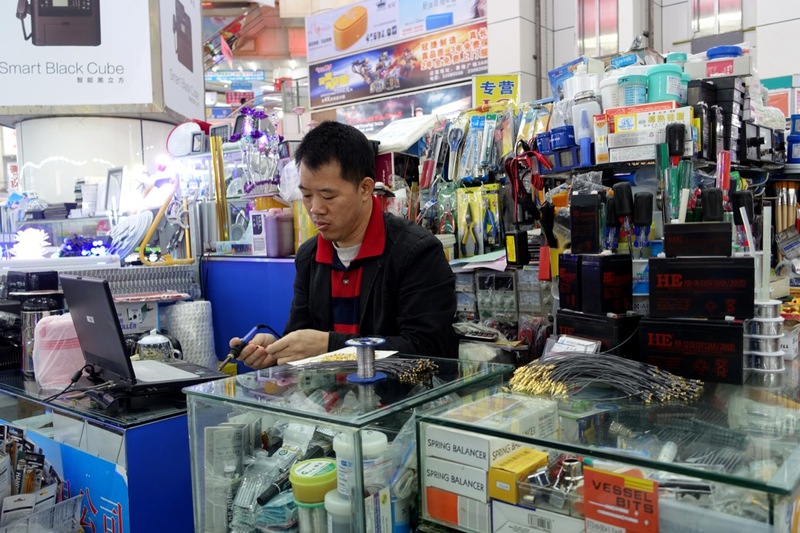 Vendors at the electronics market were engaged in very similar activities: post processing wares from the factory, cutting, finishing cables, among others.